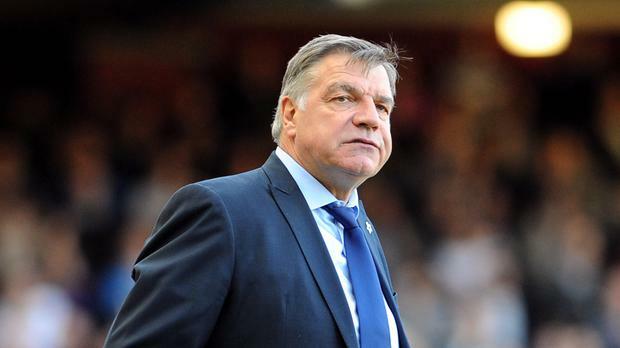 Former England manager Sam Allardyce admits he would consider an approach from Everton to become their new boss. Under-23s coach David Unsworth has been placed in temporary charge following Ronald Koeman's sacking a week ago but has lost his first two matches in charge, exiting the Carabao Cup at Chelsea and losing at Leicester to leave the club stuck in the bottom three of the Premier League. Allardyce, out of work since leaving England after just one match in charge, has built a reputation on saving troubled teams and is being linked with the Goodison Park job. "Who knows? I'd have to consider that, if that phone call happens," he told beIN SPORTS. "There's no point in speculating at the moment, David Unsworth is in the chair. "Joe (Royle) sat upstairs will have an opinion but at the moment it looks like it's really going to be tough for Everton to get out of that position. "They know what the problems are, they just perhaps want a bit of guidance now how to rectify those problems. "I've been in this position a number of times in the last three clubs I've had and I'd just put the team back to basics." Former Bayern Munich and Real Madrid coach Carlo Ancelotti is another of the names on the list bookmakers have in the running to be the next Everton manager. However, the Italian, who has also been linked with a return to Chelsea should things not go well with Antonio Conte, insists he will not be taking any job before the end of the season but said a return to the Premier League did interest him. "Every day there are new speculations about my future: Croatia, China, Everton, Chelsea - don't make my friend Antonio upset, I always talk to him," he told Radio Anch'io lo Sport in his homeland. "I am looking for new opportunities but not right now. My contract (pay-off) with Bayern expires at the end of the season and that's when I'll start listening to new offers. "The Premier League is a very interesting league of course. The atmosphere is amazing there, even if Bundesliga stadiums are also great."